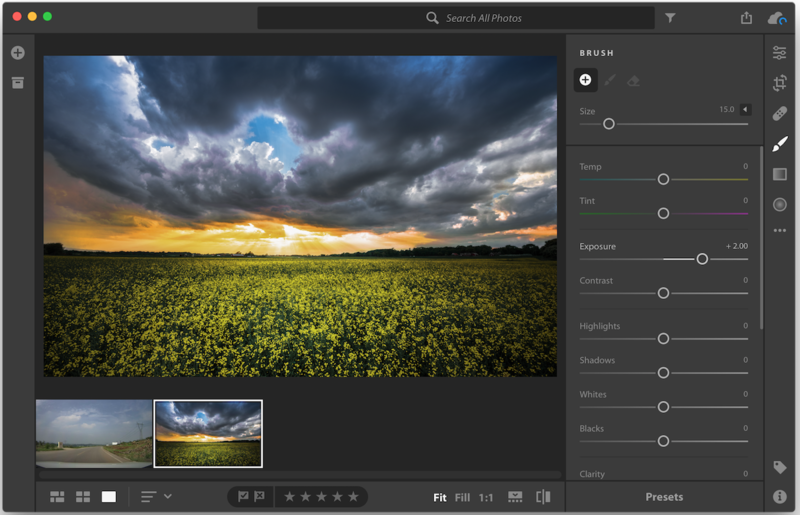 Lightroom CC 1.4.0 – Cloud-based photo editor. Adobe Photoshop Lightroom is a well-designed and comprehensive cross-platform application that provides the required tools to handle, organize, edit and share your photos and videos with ease. From Adobe Photoshop Lightroom’s main window you can easily import, catalog and organize your multimedia content, create smart collections, use various publishing services, edit and present your work in digital or print form. Thanks to the Develop tab, you can start editing and adjusting your images using various filters and tools designed to help you bring out more detail in your pictures. Consequently, you can remove dust spots, splotches and other imperfections with the Advanced Healing Brush that can also be customized according to your needs. The Upright tool is capable to analyze your images, detect skewed vertical and horizontal lines and straighten your shots even when the horizon is not visible. Moreover, you can enhance certain areas of your image using the Radial Gradient tool. Hence, you can create off-center vignette effects or multiple vignetted areas within a single picture. The best thing about Lightroom is that you are not required to carry your entire library with you. You can generate smaller stand-in files of your full-size photos. All your changes, adjustments and metadata additions will automatically be applied to the originals. Furthermore, you can find, organize and tag images by photo journey, location or plot and display the location data from GPS-enabled digital cameras or camera phones. When you are happy with your changes and adjustments, you can share your work using professional-looking video slide shows. On top of that, you cam mix still images, video clips and music in stunning HD videos. Additionally, with the help of Adobe Photoshop Lightroom you can also create memorable photo books using the well-designed templates that can be personalized with just a couple of mouse clicks. Next story Microsoft Word 2016 16.14.1 – Powerful and beautiful word processor. Previous story BlueHarvest 7.0.5 – Disable DS_Store creation and more. Adobe Lightroom 4.4 – Import, develop, and showcase volumes of digital images. Adobe Prelude CC 2018 7.1.1 – Logging tool for various file formats.